Sutton place hotel flowers, this prestige first class Vancouver hotel is located on minutes away from our flower shop, we at Flowers on 1st offer same day delivery of flowers, champagne and french wine baskets to the Sutton place hotel, all the way to the room. call us at 604-558-0303 to place your floral order. It is located in Vancouver in the region of British Columbia Canada.This hotel is ranked #34 of 92 hotels in Vancouver BC Canada and rated 4.5 of 5 on TripAdvisor website. 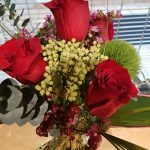 Mother’s Day Flowers, in 2018 Mothers day will be on Sunday May 13th, our flower shop is located on the west side of Vancouver, Kitsilano district near UBC. We offer same day delivery of high end flowers, potted plants and chocolates to all areas of Vancouver including UBC,VGH,YVR and SFU. Flowers on 1st is a local florist serving Vancouver BC Canada for many years now. Online ordering via our secure website is available 24/7 or call us during business hours at 604-558-0303. Mother’s Day is a very busy day for all florists, so order early to ensure delivery on time. Flowers, Chocolate, potted plant, cupcakes, cookies, gift basket, chocolate covered strawberries. The Vancouver Gift Expo Show. Vancouver Gift Expo is held at the PNE Forum Building – 2901 East Hastings St.
Boundary Bay Airshow on Saturday, July 22, 2017. ZBB is a regional airport in the municipality of Delta British Columbia, everyone is welcome, free parking. Vancouver/Boundary Bay Airport is located at Boundary Bay and 2 and 1/2 nautical miles east of Ladner in Delta, British Columbia, Canada. THE BOUNDARY BAY AIRPORT IS LOCATED AT 7800 ALPHA WAY IN DELTA BC. Located at 2901 East Hastings St. Vancouver BC. 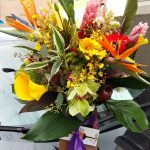 Flowers on 1st is located in Kitsilano, we deliver daily to VGH, UBC, SFU and all other areas. To place your order please visit our secure website. Sunday, June 18 2017 is Father’s Day across Canada, celebrate your dad with the perfect gift from Flowers on 1st in Vancouver. Few Father’s Day Gift Ideas like Belgian Chocolate baskets, Orchid Plants, A box of Best in Vancouver assorted Cup Cakes, Coated chocolate apples and many more….call Flowers on 1st in Kitsilano at 604-558-0303. We deliver 7 days a week.